Ohio author Ann Mann shared her story of adoption, and her journey to find her biological parents and siblings, at the Greenville Public Library last week. GREENVILLE – Ohio author Ann Mann shared her story of adoption, and her journey to find her biological parents and siblings, at the Greenville Public Library last week. 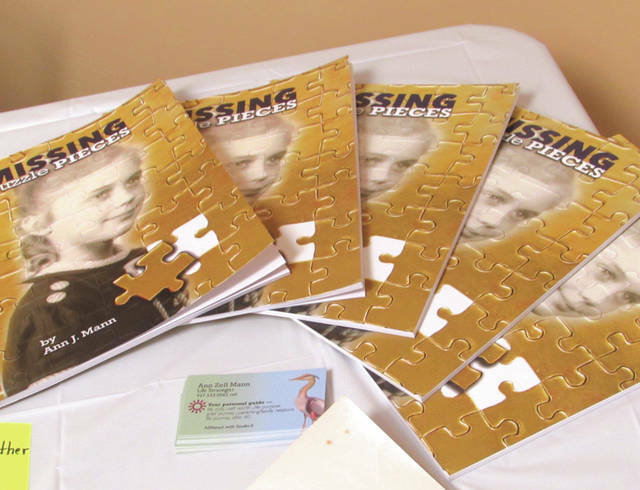 Mann’s book “Missing Puzzle Pieces” was published early last year and is available to check out at the library. Mann’s adoptive parents, a nurse and an Army veteran living in upstate Pennsylvania, later had two biological children, which left her feeling as though she had to work extra hard to be the perfect daughter. “I always thought, ‘What if they decide to give me back?’” Mann said. 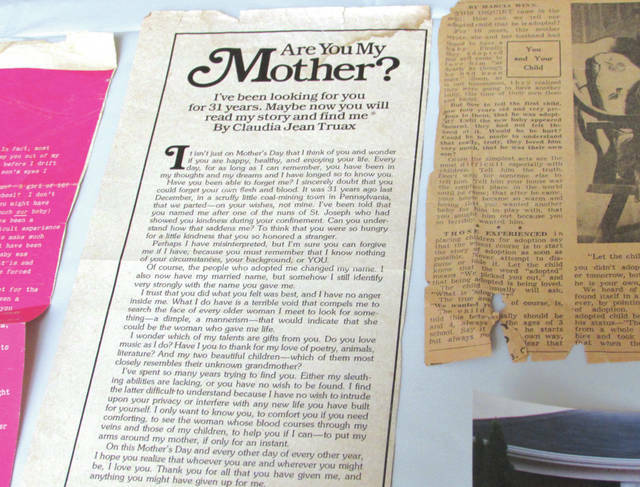 Mann stumbled across some adoption paperwork in an old cabinet when she was 13 and discovered the forms listed her as having been “abandoned” by her birth mother. As an adult, Mann relocated to Oxford. She was married and preparing to welcome her first child when she started to wonder about possible health concerns related to her family tree. “What if there was something genetic? Something I should know about?” Mann said. Mann initially learned the identity of her birth father after requesting a copy of her unaltered birth certificate. Birth certificates of adoptees typically have this information redacted. She then ordered a New Castle, Pennsylvania phone book and began calling people in the area who shared her biological father’s name, pretending to be a writer for a popular church-based publication. After identifying her father’s family, she asked the priest at a Catholic church in Camden to reach out to its local parish for more information but didn’t actually attempt to make contact herself for many more years. In 1985, Mann learned that her biological father had passed away. In 2008, more than 20 years later, her adoptive mother passed. Her mother had never approved of Mann’s search for her biological parents and siblings, so she felt this freed her to finally begin reaching out in earnest. Over the next several years, Mann cultivated relationships with a number of siblings from both her mother and father. She eventually took her own children with her to Pennsylvania to meet her birth family and later held a large get-together for her multiple extended families in Cincinnati. She then decided to write a book about her experiences, so that her children would know about her journey, and began speaking at local libraries. This entry was tagged Adoption, Ann Mann, author, Greenville Public Library, library. Bookmark the permalink.